Clearing the decks for monetary compensation for the oustees of the Sardar Sarovar Project (SSP) on river Narmada in Madhya Pradesh, the Supreme Court has ordered Rs 60 lakh for each of the nearly 700 families likely to be displaced. 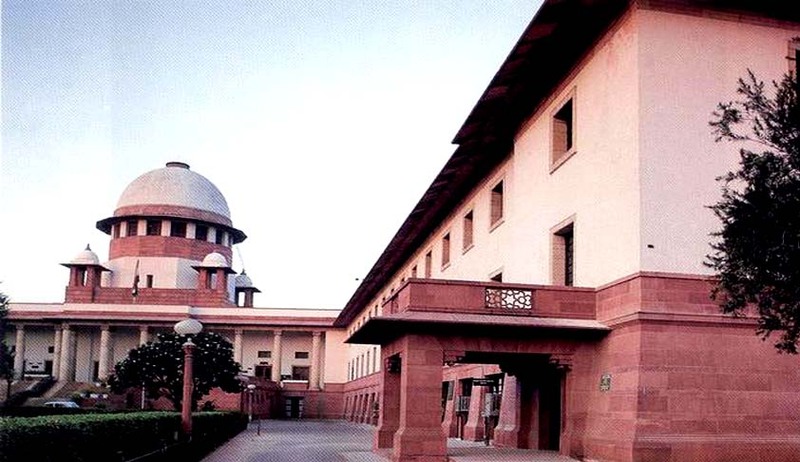 The apex court, which passed a slew of directions yesterday to address the grievances of 681 such families, also withdrew its proposal to set up a three-member committee of former apex court judges to look into the compensation and rehabilitation issue for the oustees of the project. Earlier a panel of Justices (retd) V S Sirpurkar, K S Radhakrishnan and C Nagappan was proposed. A three-judge bench headed by Chief Justice J S Khehar ordered compensation of Rs 60 lakh per family for two hectares of land with an undertaking to be taken from them that they would vacate land within one month failing which the authorities would have the right to forcibly evict them. The bench, also comprising justices N V Ramana and D Y Chandrachud, observed that the monetary compensation was considered as proposed land compensation was not feasible due to non-availability of land bank. Narmada Bachao Andolan (NBA), which is leading the campaign for the oustees, was of the view that there was no good land that could have be given as compensation. The bench observed that around 1,300 families, who have taken the money but have some dispute, can raise the demand of Rs 15 lakh which would be given after deducting money already paid to them. The apex court also asked Gujarat government to give money to Madhya Pradesh for further distribution through grievance redressal authority headed by a retired High Court judge. The order was confined to Madhya Pradesh as the maximum oustees were from the state. As far as Maharashtra and Gujarat were concerned, the apex court said relief and rehabilitation work has to be completed within three months. Advocate Sanjay Parikh advanced the arguments on behalf of NBA while Attorney General Mukul Rohatgi and Additional Solicitor General P S Patwalia along with advocate C D Singh made submissions on behalf of Narmada Control Authority and Madhya Pradesh respectively. The bench observed that despite the fact that compensation to be given to the oustees of the project have been increased by almost four times, the NBA still wanted to stall it. "You see, they (government) are giving you four times the compensation and you still want to stall it," it told Parikh. "When we say this, you say that. When we say that, you say this. You will get what the law says. They are giving you much more. You argue your matter. We will hear it and decide the matter as per the law," the bench said. The apex court further said, "You want to take the court for ransom. You want to take the government for ransom. You argue whatever you want, we will hear you and pass order." The bench observed that now there was a "lot of dispute" over the settlement even after the compensation amount has been hiked. "You have got money but you continue to be the sufferers," the apex court observed. During the hearing, Patkar told the bench that when the villages have been vacated, then villagers have to be given place to stand. To this, the bench said, "They are giving money. They can take it and buy other land". "It is up to you. Our job is to settle this issue in terms of the law. If law says you will remain there, we will say so," the court told NBA's counsel after which he started his arguments. The issue of compensation will cover 193 villages in Madhya Pradesh, 33 in Maharashtra and 19 in Gujarat. The bench had said that it will ask the state governments to deposit the money in the apex court registry after the committee decides the issue. Earlier, NBA had told the apex court that 192 villages and one township would be affected in Madhya Pradesh alone and about 45,000 affected people are yet to be rehabilitated. The Sardar Sarovar Project oustees, including thousands of Adivasis and farmers, have been waiting for land-based rehabilitation of many years, NBA had said.